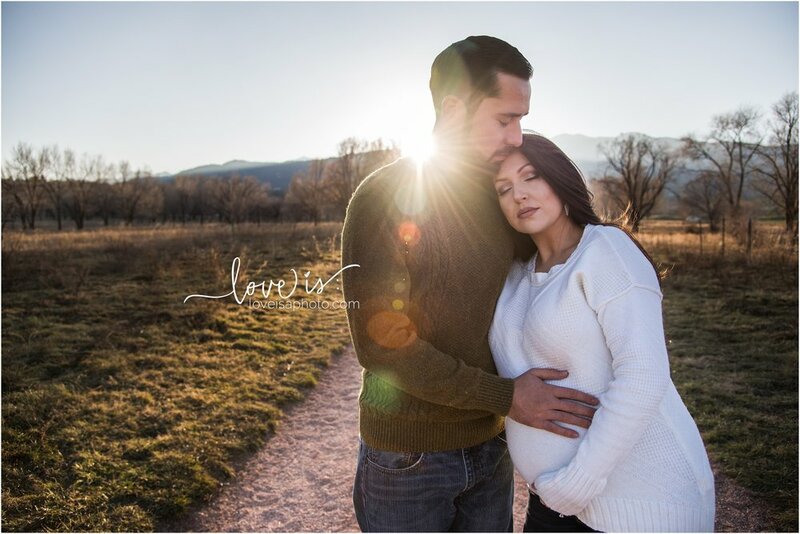 A Beautiful Maternity Session For My Cousin - Colorado Springs Maternity Photographer — Love is Photography LLC. It’s got to be the highest compliment and honor to have someone want to be photographed by you so much that they are willing to drive 12 hours to do so. Also she is my cousin so I’m sure she’s a little biased. I was so thrilled to do these for her and I had so much fun doing so. She is so beautiful inside and out and has the best sense of humor…as you can tell from our little “expectations versus reality” side by side in the photos below. It was MAYBE 35 degrees out that evening, maybe colder. Which for me is cold, and they are from Texas. We survived it and I bought a round of hot drinks from Humble to warm us up after so it was all worth it.